"Hello, so after going back from beta iOS 11 to iOS 10.3.2 notes are immediately crashing when I open them. I tried fixes with editing the notes in iCloud, turning the iCloud off etc. but nothing helped." After experience the new features of iOS 11, a lot of users may choose to downgrade the system to the current iOS 10.3.3/10.3.2. But from some users we know that apps like Notes crashes after downgrade from iOS 11 public beta. If you don't know how to fix, this article then will provide you the full solutions. If only re-open Notes app cannot help to fix the immediately crashing of Notes, you then can choose to restart you iOS device. Long press Power button and swipe to turn your iOS device off when "slide to power off" appear. Then press Power button to start your iPhone again. If basically restart cannot fix the problem, you can also choose to force restart your iOS device. 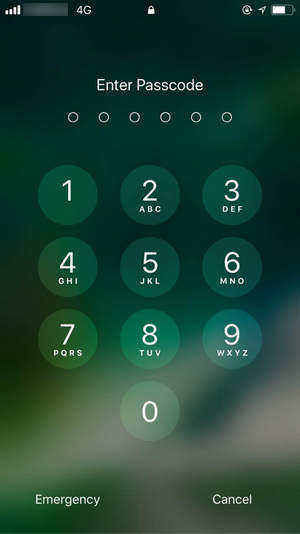 For iPhone 7 or iPhone 7 Plus users, press and hold Power and Volume Down buttons for at least ten seconds, until you see the Apple logo. For other model iOS users, press Power and Home buttons the Apple logo appears. iCloud Data sometimes may also lead to apps crash, users can choose to disable Notes stored in iCloud to fix the crash issues. Go to: Settings >> Apple ID, iCloud, iTunes & App Store >> iCloud, and disable the switch of Notes. You will see the reminder like above, just tap to delete from your iPhone/iPad/iPod. Then you can turn this option again to get your Notes in iCloud back. And you can re-open Notes app again after seconds of wait, all the notes will be in the app. Expect for the manually fixes, if the Notes app really has some problems and need to fix, then we recommend users to try a free software, Tenorshare ReiBoot, which can help to fix kinds of iOS stuck issues in only one-click. Connect your iOS device with PC/Mac and run the program. After Tenorshare ReiBoot detect your device, click "Enter Recovery Mode" and iTunes and USB icons will appear on your iPhone screen in seconds and it means you have successfully get your iOS device into recovery mode. When "Exit Recovery Mode" is highlight, you can click it to let your iPhone/iPad/iPod restart. This Enter/Exit process can enable system self-repairing mechanism of your iOS device, thus to fix kinds of iOS issues. 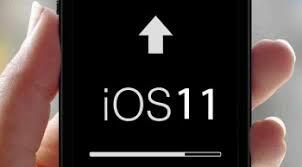 Besides, if you are not sure whether the process that you downgrade iOS system from iOS 11 to iOS 10, or iOS 12 to iOS 11 is correct or not. You can then use Tenorshare ReiBoot to repair operating system again that can help to handle problems from the root. That's all about how to fix Notes crashes on iPhone/iPad/iPod after downgrading from iOS 11 Beta 1 to iOS 10.3.3/10.3.2. These solutions can be used on all the model of iOS device. If you meet the problem again, don't hesitate come to this article for help. 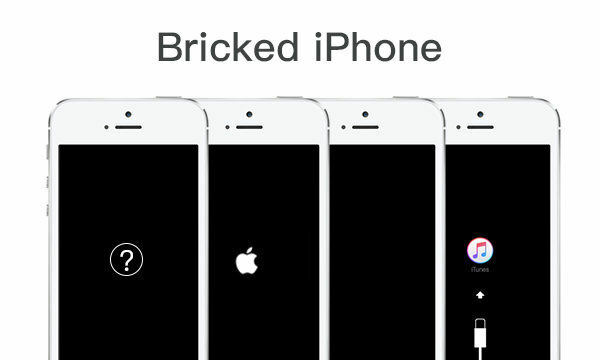 How to Unbrick iPhone 5s after iOS 11.2/11.1 Update?